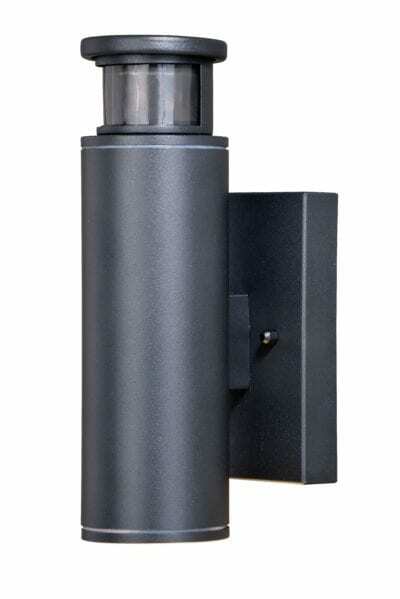 Dualux® multi-level outdoor lighting is designed to fit your lifestyle and enhance the beauty, safety, and usability of your home's exterior areas. 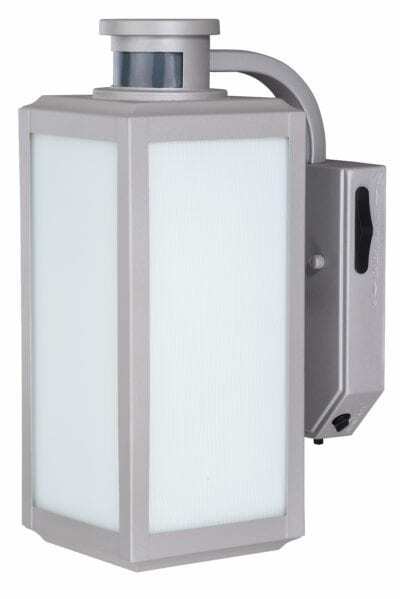 You get convenience, security, and efficiency with Dualux® outdoor light fixtures. 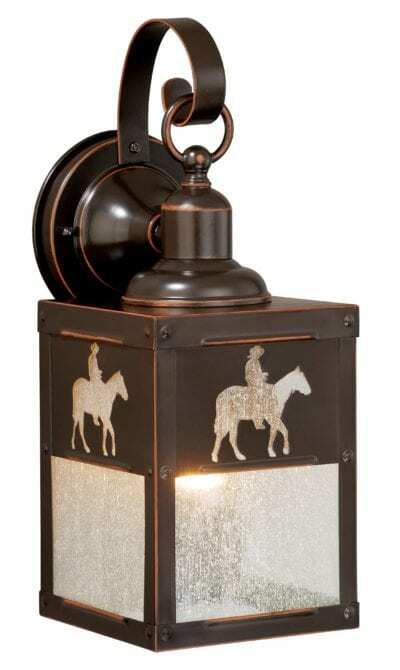 Enjoy the comfort and convenience of continuous bright illumination during the early evening hours. Using patented energy-saving technology, Dualux® automatically dims late at night to provide soft, ambient illumination until dawn. 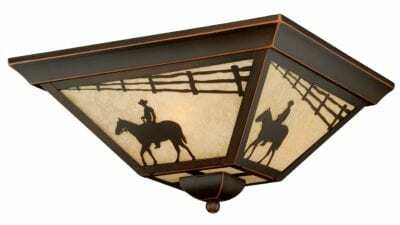 But, rest assured knowing that whenever motion is detected, on-demand bright illumination will be triggered to keep your property safe and secure. 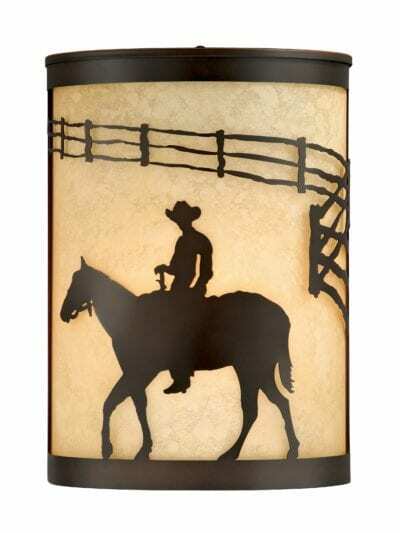 Inspired by the sprawling landscapes and ranches of the western United States, this rustic themed wall sconce is clad in a burnished bronze finish and features silhouetted cowboy imagery atop glowing amber flake glass. 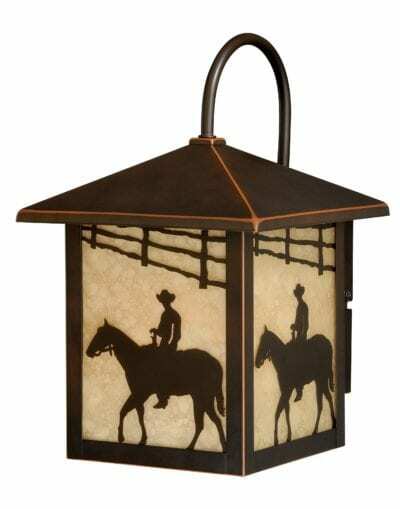 The classic form of this lantern makes it a great choice for a vacation lodge or a suburban home - it will complement a variety of home styles: anywhere you want to bring an element of nature. 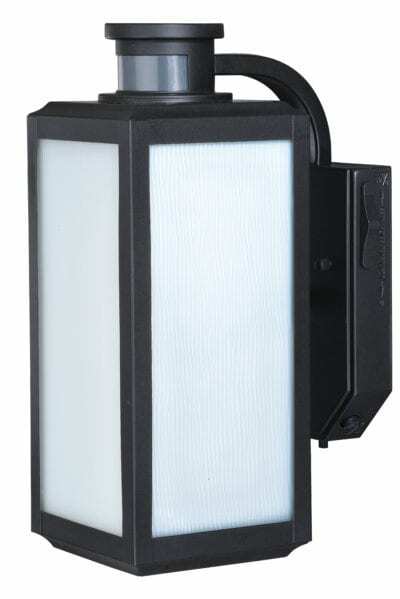 All Dualux® lanterns feature: Photocell : which automatically turns the light on at dusk and turns the light off at dawn. 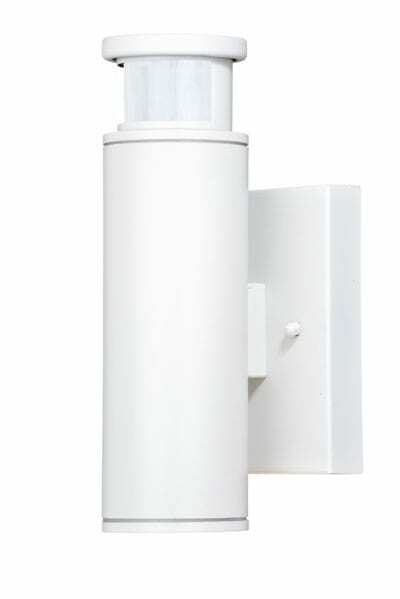 Timer : that allows you to control the duration of continuous early evening bright illumination (0, 3 or 6 hours), and the duration of late night motion-activated bright illumination (5 sec to 3 min) Motion Sensor : that automatically switches the light to full brightness whenever you're nearby or need it most like when you arrive home late at night. With the Adjustable Low Level feature, you can adjust the late night ambient brightness level from 50% to 0% (off) to suit your personal preference. Enhanced bulb compatibility : works with any medium screw base incandescent or halogen bulb and most dimmable LED bulb models.